MMD president Felix Mutati says it’s okay to print ballot papers for the 2021 elections locally. In this case, Mutati was speaking as PF Minister of Works and Supply. Opposition parties and genuine civil society have rejected the plan to print ballot papers at PF government printers saying it is blue print for rigging elections. But Mutati, who has already launched his 2021 presidential underground bid, claims Zambia will save about 7 million U.S. dollars if ballot papers for the 2021 general elections are printed locally. Mutati was demoted from his position as minister of Finance and shunted a ministry of works a few weeks ago. “Let’s not doubt our capacity and capabilities [to print ballot papers locally], let’s not export revenue by printing documents abroad. 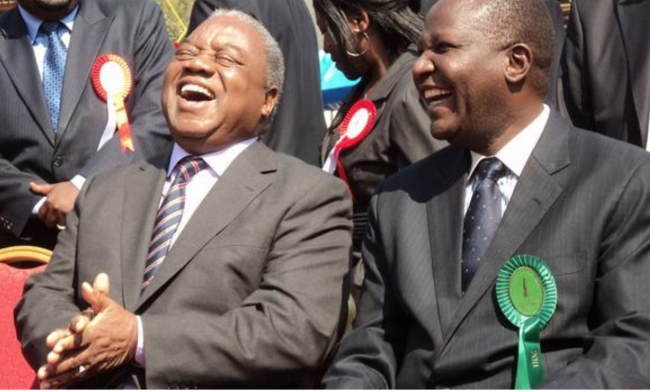 As a country, we have capacity to do many great things,” said embattled Mutati. We just hope Mutati won’t change this song when he finally comes out in the open to run for president. We know these hypocrites.